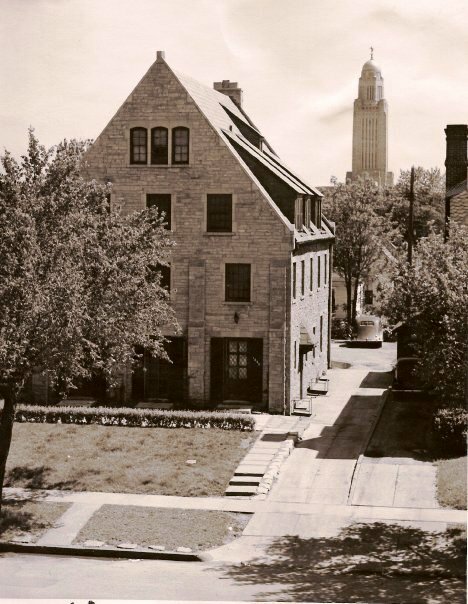 Since 1936, 1425 R Street has been Phi Gamma Delta’s home. With its central location, literally a few minute walk to most campus buildings and downtown Lincoln, the chapter has one of the best locations on campus. Each student suite includes a study room space shared by two bedrooms. There are a handful of private rooms, usually reserved for upperclassmen. Bedrooms are furnished with bunk beds, dressers and wardrobes. 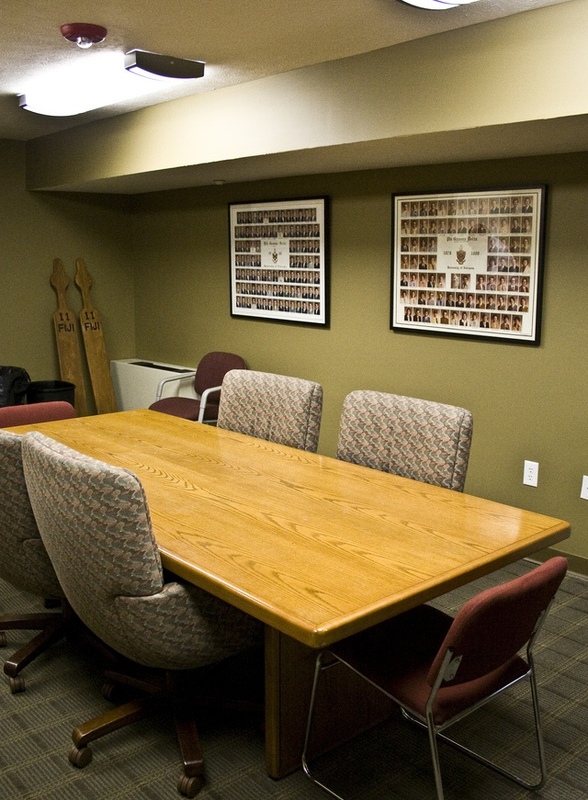 Brothers and pledges can often be found watching TV (on the theater system), playing pool in the basement recreation room, studying in the Andersen Study Center or at the conference table located on 1st floor. The living room, complete with leather furniture and a flat screen TV, serves as a gather place for brothers and guests. The large conference table at the back of the room is used for studying and meetings. A computer lab houses the network printer that members can use from anywhere on the University network. WiFi is available throughout the chapter house (as part of the University’s overall network). Lambda Nu’s housemother has an apartment on the 1st floor and is there to provide support and guidance to members and pledges. 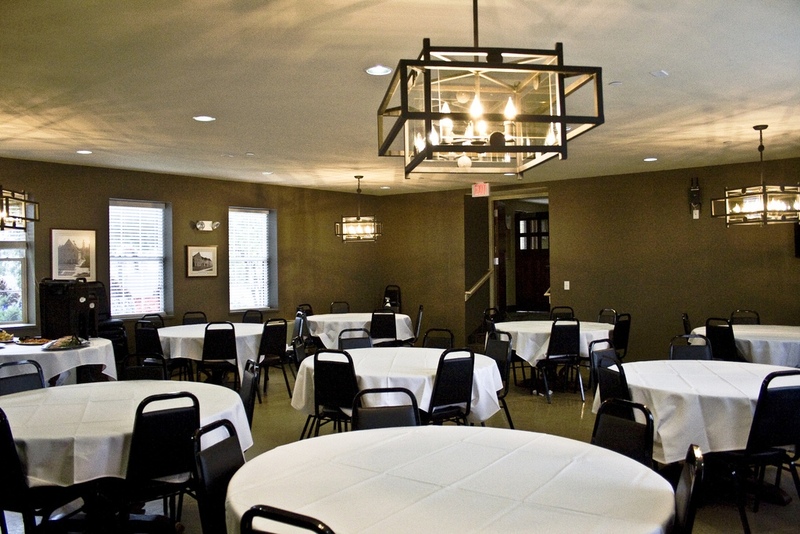 Lambda Nu’s dining room will comfortably seat over 60 people. Meals (including hot breakfast) are provided by a professional kitchen staff Monday through Friday. Members have access to leftovers outside of normal dining hours and on the weekends. 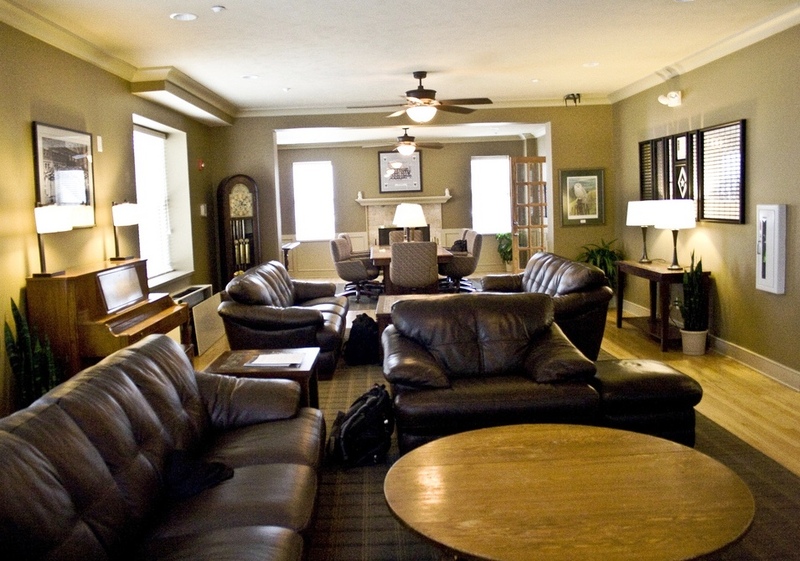 The Andersen Study Center is located in the basement and provides brothers a quiet space for individual or small group study. 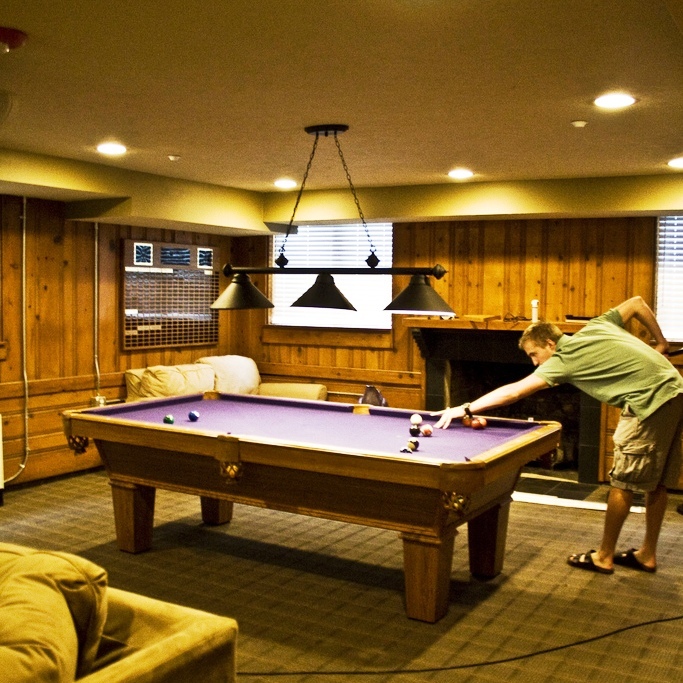 The basement rec room features a theater system and pool table for members to socialize with each other. 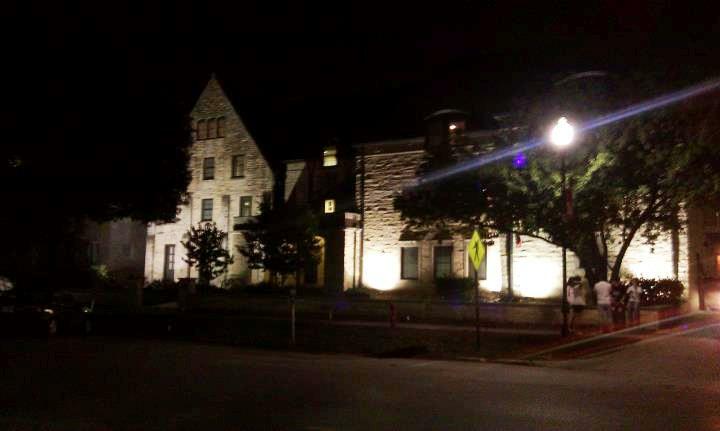 The Lambda Nu chapter at night. The original building was built in 1931, acquired by Phi Gamma Delta in 1936, and an addition added in 1964.